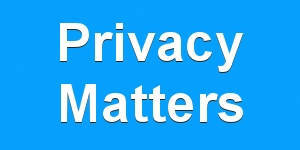 By visiting our website we may collect non-personally-identifying information such as what browser you use. Also, it is important to discover the language used. Also, maybe even the time and day you visited us. This indeed, only adds to the pleasure of your visit. For example, if you use Firefox as your browser, then the site can try and adjust to the best settings. We also may ask other questions about you when you become a member. The database will store some information you give, such as your name and email etc. In fact, we will never, at any time, knowingly share this information with anyone else. We may, from time to time, send out a mass email to you with important information etc. So, it is would be wise to keep your email address up-to-date. Since we have the forum and blogs to inform people, we will therefore keep the emails to a minimum. The only people who will be able to access this information would be the law people of course. Obviously, they would have to get a warrant to do so. Since most people are law abiding then, we don’t expect anyone to put themselves in a position for this scenario. Indeed, it would be a rare event anyway. In effect, we are merely pointing it out to you to help you understand how things work. Your privacy is the most important thing and we will always respect this obviously. Thus, you can see by our clear open policy above that we take it seriously. We also ask you to check for changes to the policies and conditions of the website from time to time. In effect, your continued use of this website after any changes will count as your acceptance to such changes. We do not expect many changes and any we do make should indeed be minor. Finally, please enjoy your visit and please keep coming back. Also, we would like you to contribute to the Karaoke Forum. Please join us and post regular, after all, it’s our community so use it. Karaoke Shack – privacy matters!